Apparently these two guys are not brothers. Could have fooled me. 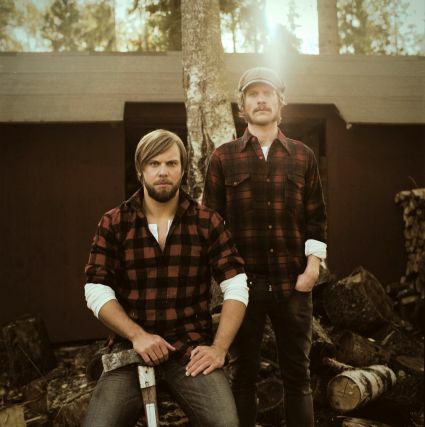 Martin Nordvall and Mathias started The Sweet Serenades in Stockholm in 2002. Officially crowned Sweden’s woodsmen of indiepop, these guys are keeping up the reputation Sweden has had in recent years as an exporter of really catchy music. Maybe you’ve heard them when songs from their EP (First Taste) were ciculating the interblogweb. Below is a song from their upcoming release Balcony Cigarettes (Leon Records). Take a listen to Mona Lee. Here’s the video, which we also threw over to Indiemusicfilter.tv. Find their stuff on iTunes here.